With just over four weeks to go (28 days and 15 hours to be exact… but who’s counting,) I have been slowly trying to buy gizmos and gadgets (and clothes) that I can say are going towards the trip so that I don’t feel horrible for spending money that I don’t have. A new camera; I bought myself a Samsung mv900f in the colour White which I am SUPER excited about. I chose this one because of the screen that can be lifted to a 180 degree angle which will be perfect for vlogging (I’ve decided that I want to do some daily vlogging while I’m away as something fun to do). 32GB SD card; not very exciting, but I thought I’d chuck it in anyway. Universal Travel Power Plug Adaptor; ok so I’m going to sound really geeky, but I’m pretty excited about this because it’s a 4-in-1 kind of product that I’ll be able to use in Europe and the UK. Ok, if this is not the cutest thing you have ever seen, you’re lying. 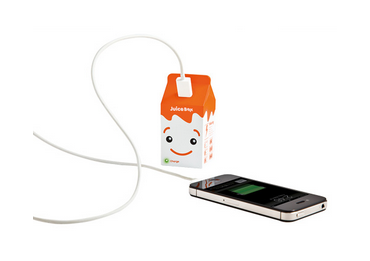 This little cutie is a portable phone charger, so if you’re low on battery you can just plug it into the Juice Box and charge it up! I also bought a new black skort and grey trousers which I’m pretty happy with, but aren’t very interesting either. I’m also planning on buying a couple of books before I leave! If you have any book suggestions please let me know, I’d love suggestions!